Bettertax Fantasy Football League Enters It’s 5th Season! With the Premier League season almost upon us again (just how did you survive without it these last couple of months?! ), we have set up our Bettertax Construction League for a 5th time! All the rules are set out in the forum itself and also on our Fantasy Football webpage. Please read them as you do need to be in the UK construction industry to qualify for prizes. It’s FREE to join and we do have monthly Manager of the Month prizes along with prizes for the top 3 overall Managers. Gavin Cook has won the 2nd place title for the last 3 years, or is it 4… there must be other contenders! If you do join us, make sure you check regularly and keep in touch to claim any prize. Our code is 203721-55014. If you were with us last year, you will automatically be with us again. Otherwise, simply go to the fantasy league link provided above, set up a team (you can auto complete and fiddle with it nearer the time), then go to LEAGUES, JOIN A LEAGUE and use our code. The Fantasy rules have changed slightly agian this season, giving more wildcards and transfers, so have a shufty through those too. 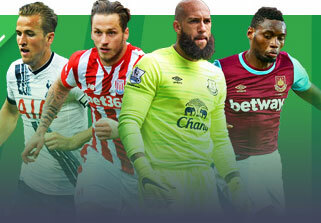 Good luck everyone and what about this beard on Tim Howard? Massive! Home » Blog » Bettertax Fantasy Football League Enters It’s 5th Season!